Canada’s Foreign Affairs Minister, John Baird, was in comfortable territory at the current AIPAC policy conference meeting in Washington, D.C. I have deconstructed his arguments before, as he reiterates the current Harper government of Canada position in its unqualified support for Israeli occupation of Palestinian land and all that goes along with that. I will not repeat those arguments here as they are the same old-same old regurgitations of support for the militaristic Israeli state from a Canadian government that does not truly represent the majority of the people of Canada. Baird presents the same arguments about Palestine living up to all previous agreements without recognizing that Israel has a lot to live up to as well; in particular that the UN Security Council has previously recognized withdrawal from occupied territories and the right of return of refugees. And as usual, the fault of the violence is the very nature of Arab/Palestinian social-political life, a mythology that Israel and its western supporters are careful to nurture. What interested me most about his current statements, apart from the ego flattering standing ovations the AIPAC audience rendered unto him, are his comments about stopping aid to the Palestinian National Authority. 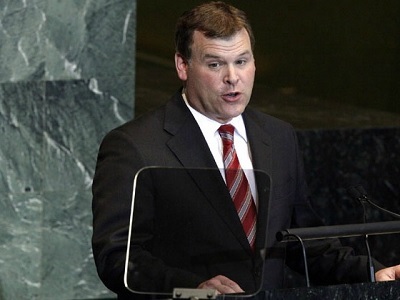 Baird threatened a similar stopping of aid during the vote to recognize Palestine at the UN, then backed off after the overwhelming support displayed for Palestine. These threats are being renewed again, against Palestine taking Israel to the International Criminal Court, but one has to wonder if the Canadian government is really aware of what the consequences of that cut might be. Most of Canada’s aid to Israel is bound into corporate military research and development, including the realm of security and surveillance. The aid to the Palestinian Authority helps the PA maintain their fragile grip on the Palestinian population as it is used for similar areas of security, surveillance, and support for the few Palestinian elites who harvest the aid supplies for their own benefit. The Canadian military and the Canadian national police force, the RCMP, serve as trainers for the PA authorities own militarized units. So what happens if the aid to Palestine is cut? Many things are possible, the most counterproductive one from the Israeli perspective would be the decrease in the control that the PA is able to exert over the Palestinian population on its behalf as the money supplies dry up. The Palestinian economy, such as it is, mainly in the West Bank, where the majority of the funds are utilized, would suffer even more. 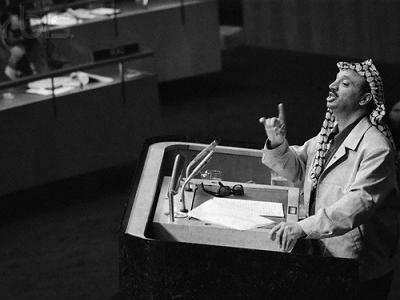 With more economic weakness, and with a weakened PA no longer able to buy influence among its own people, the Palestinians would certainly be more restive and perhaps more aggressive towards their own elites as well as the Israelis – a third intifada would become more probable. Of course, more Palestinian violence would only make the current Canadian government say, “See, we told you they were a violent people,” and so the mythology of Israeli victimization will continue. It would be a good thing perhaps to shed the yoke and burden of foreign control bought by the power of foreign dollars manipulating the economy and political scene in Palestine. The outcomes of such a cut are indeterminate, but usually in the world of political manipulation, unexpected outcomes are to be expected. For that reason alone, one can expect John Baird and the Harper government to prevaricate over cuts for some time to come. There is no doubt that a great majority of Canadians are not supporting their Government on its unqualified support for the state of Israel, but rather support the Palestinians being brutalized, abused and killed daily by the Zionist regime. I think it is a safe bet that the Harper government will not be re-elected again comes election time.